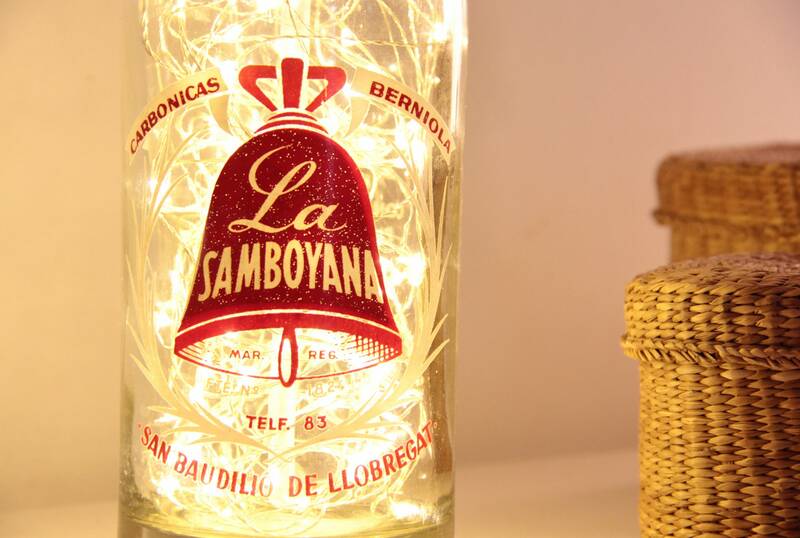 On the bottle we can see silkscreened the logo of the old company called "La Samboyana". 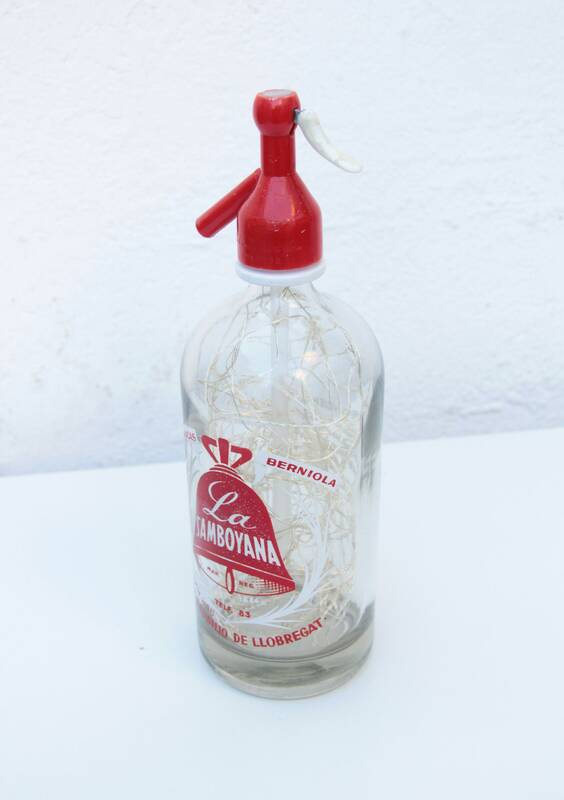 La Samboyana was an old beverages factory from Sant Boi de Llobregat in the Barcelona province. 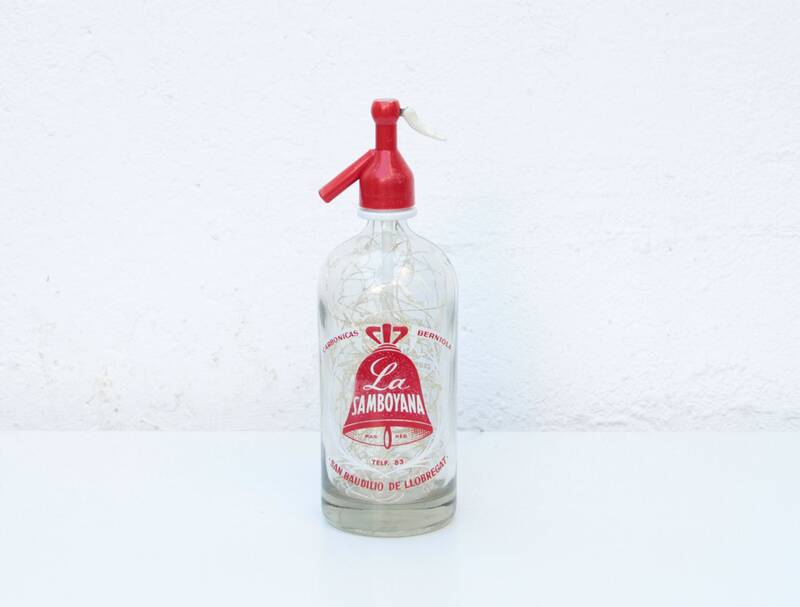 Was also called "San Baudilio" during the years of Franco's dictatorship. 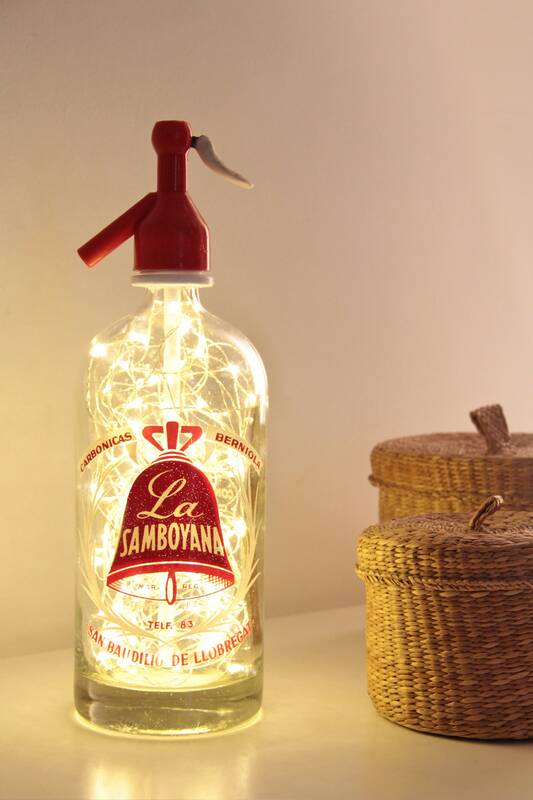 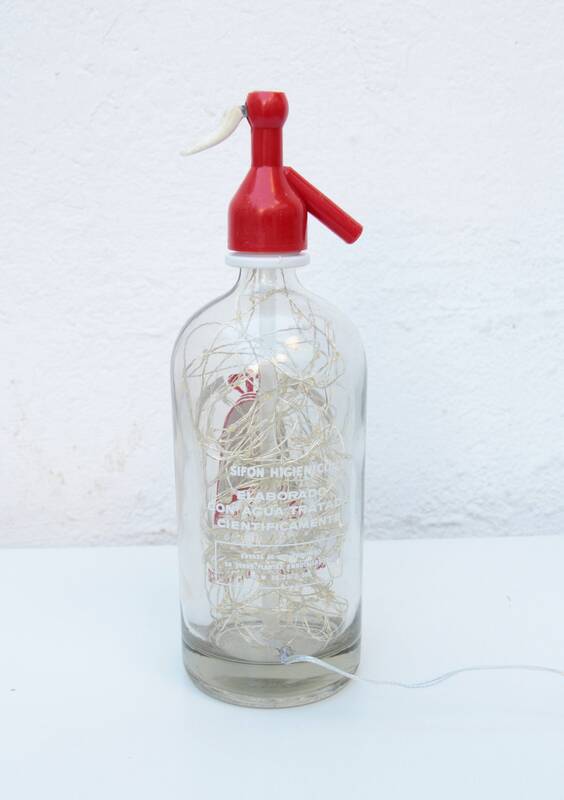 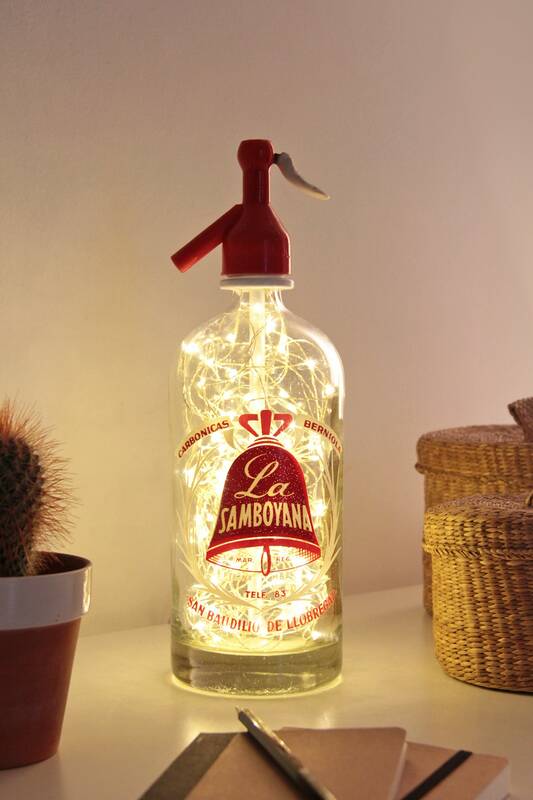 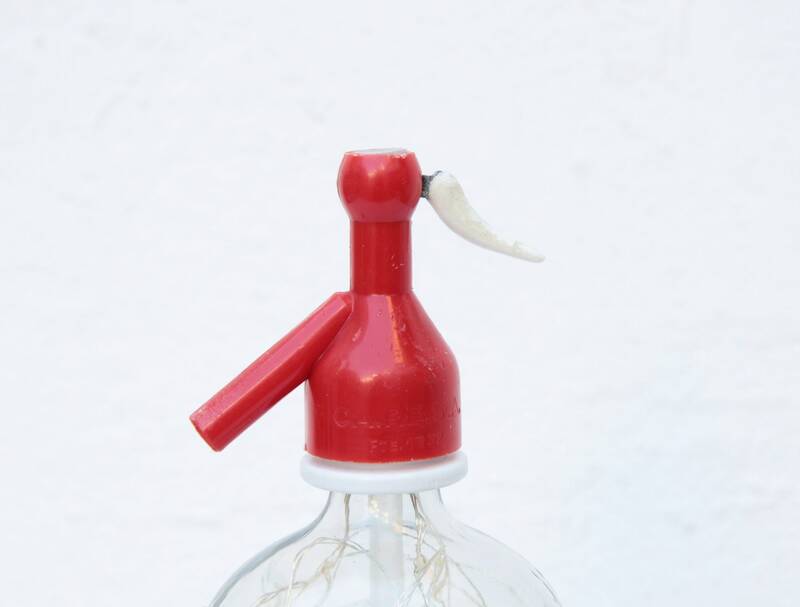 That's the little part of the history that this syphon bottle vintage lamp brings with itself. 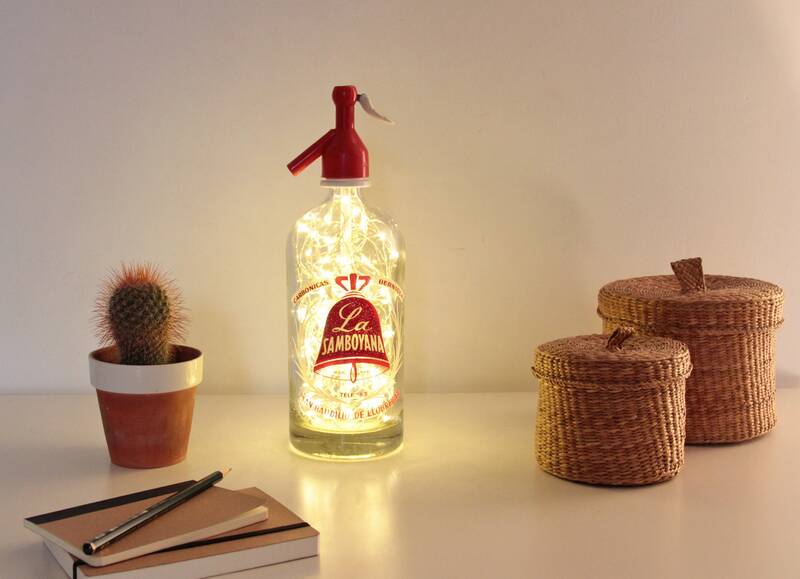 This lamp will give a vintage touch to your house or to decorate your bar or restaurant. 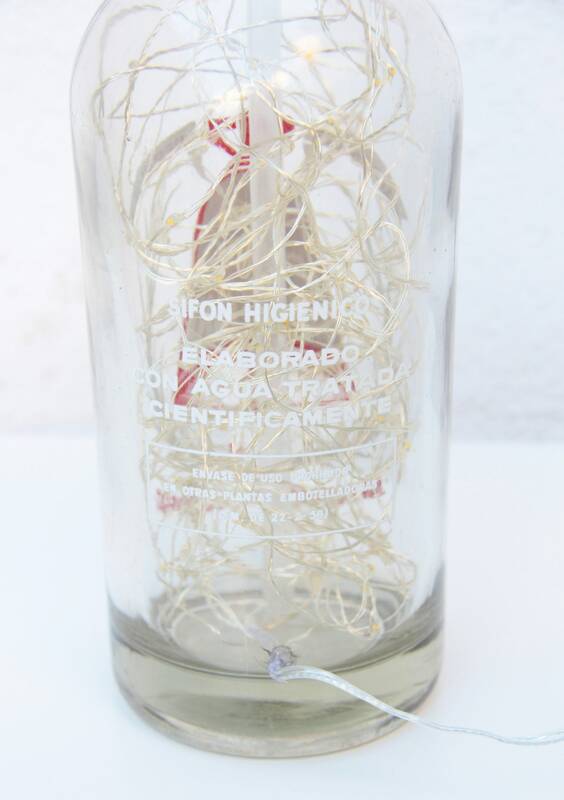 Can be a really original present and also could decorate a very special event like a wedding or a special party.